In order to meet the needs of wireless uses for cellular / vehicular use, we have prepared a rich lineup of products for HF to UHF bands as the company providing Mitsubishi Electric with silicon high frequency products, managing everything from development to manufacturing. As a key part for work-related wireless, which keeps advancing, we promote increasing performance and expanding the lineup for silicon high frequency discrete MOSFET and RF modules, offering dynamic support for work-related wireless networks. See details about our silicon high frequency products. In addition to EMS (Electronic Manufacturing Service) for high frequency transmitter modules for cellular phones, various wireless high frequency modules, IC / transistors, and optical transmitters, we also perform ODM (Original Design Manufacturing) and OEM (Original Equipment Manufacturing), including contracted development and design, such as developing packages for the said products, thus aiming to expand our high-frequency product business. See details about our high frequency products. In addition to EMS (Electronic Manufacturing Service) for pressure sensors, acceleration sensors, magnetic sensors, heat sensors, and complex sensors, etc., we also perform ODM (Original Design Manufacturing) and OEM (Original Equipment Manufacturing), including contracted development and design, such as developing packages for the said products, thus aiming to expand our semi-conductor sensor product business. 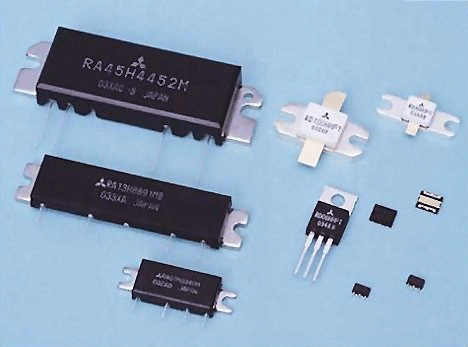 See details about our semiconductor sensor products.